A chance to hear and air your own original material. Hosted by singer/songwriter Chris Rodis. Free Entry! Join this friendly, helpful support group - coffee/tea at 7pm for meeting at 7.30pm. New members from patients of the East & North Herts NHS Trust are always welcome. Programmes available. Free hair cuts hot food, hot drinks, clothing bank, food parcels, toiletries, sleeping bags plus support services available and more. With grateful thanks to all the supports, feeding the community bringing warmth to hearts. Visitors and new members are welcome to this illustrated talk by Prof Tom Williamson. This enthusiastic and friendly group of amateur artists meet every Thursday morning for recreational painting and the occasion demonstration. The first session is free and then �35 per 6 months. For details call Mike 01462 6209549 or Pauline 01767 315553. Enjoy the countryside and local green spaces with the free Hertfordshire Health Walks led by qualified volunteer leaders. This 5 week course teaches the importance of staying safe online. To book a place on this course or for more information please contact Chris Pascoe 01462 440224 or email: admn.nhmef@outlook.com. Delivered by Hertfordshire Adult & Family Learning Service. Come and support Super Seraph. Enjoy Brave Boy's Bacon Butties and Super Seraph Sausage Sandwiches and hot drinks! No set charge but donations welcome. A Triangle Community Garden event: Experience the wonder of the dawn chorus and learn to pick out some of the different voices on this family-friendly walk/tak with ecologist Dominic Coath. Setting off from Ransom's Pavilion at 7am Dominic will lead the group along the River Purwell towards Ickleford returning for hot chocolate and cookies at the Pavilion. Children under 12 must be accompanied by an adult. Book online. Charlie Pyne grew up in Hitchin, went through Wilshere Dacre, Highfield and Knights Templar Schools, and was heavily involved in the local music scene through the Hitchin Light Orchestra and Herts County Music services before she moved to London to study in 2005. She is now a rising star on the contemporary jazz scene and a consummate professional musician. Charlie�s music combines riffs, kaleidoscopic harmony and memorable tunes, mixing contemporary jazz with influences from rock and tango. Her new album Dancing Shadows is out now and available on all platforms. Featuring Luke Pinkstone on saxes, Liam Dunachie on piano and Katie Patterson on drums, Dancing Shadows is a collection of thoughtful, melodic songs with lots of groove and an atmosphere of story telling. Charlie has played with artists such as Yazz Ahmed, Noel Langley, Nigel Hitchcock, Brigitte Beraha, Shirley Smart, Karen Street, Nikki Isles, Sophie Alloway, Tori Freestone, Alcyona Mick and Martin France. http://www.charliepyne.co.uk/ plus support from THE YOUNG JAZZ GUNS For ticket details visit the website. Ticket details entry £12, £10 with JazzUp Loyalty Card. HITCHIN FOLK CLUB - April to June ! 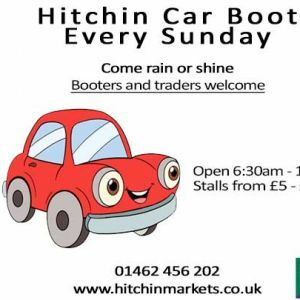 Come rain or shine every Sunday - booters and traders welcome - stalls from �5 - �10. Seller arrival time is between 6:30 am and 8:30 am. Call 01462 456202 for more details. Come to socialise and discuss a variety of topics that focus on your physical and emotional health. For more information call Stephanie 014638 369216. New members and volunteers and their carers are very welcome to join this friendly group which is for people affected by stroke, aphasia or both. Volunteers needed so please do get in contact. For information contact Jan Hendry 01462 458933 or email janhendry@hotmail.co.uk. Branch Out meets every Monday night. This medium-sized Social Club is for single people, aged 40 upwards. The club organises regular events - dinners, discos, walks, theatre visits, day/weekend trips. For more details call Lorna on 01438 233657 or visit the website. Open every Tuesday for chat and friendship - enjoy Fairtrade refreshments and homemade cakes. Run by North Herts LD Day service - part of Health & Community Services. Zumba, Dancefit and Tai Chai classes held on various days and times throughout the week. For more information visit the website or call 01462 474554. Lunchtime Talk: A TASTE OF CHOCOLATE PAST ! 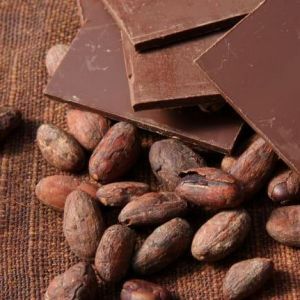 Slap your cocoa beans on a matate and let's make chocolate ! Following on from our successful talk, a Taste of Christmas Past, we bring you a new delicious journey through the history of chocolate. Tickets: £3 available from Town Hall Reception or Eventbrite. Website designed by DR Design of Hitchin.